Supporting entrepreneurs as they build and grow tech-enabled products is at the heart of everything we do. We're here to help you each step of the way with mentorship & programs, coworking space, community events, and lots of support to grow your team. Since 2009, we have brought together entrepreneurs, developers, students, founders, mentors, & investors to transform ideas into some of Canada's most exciting and successful startup & scaling companies. Book a meeting & get started! It starts with community. 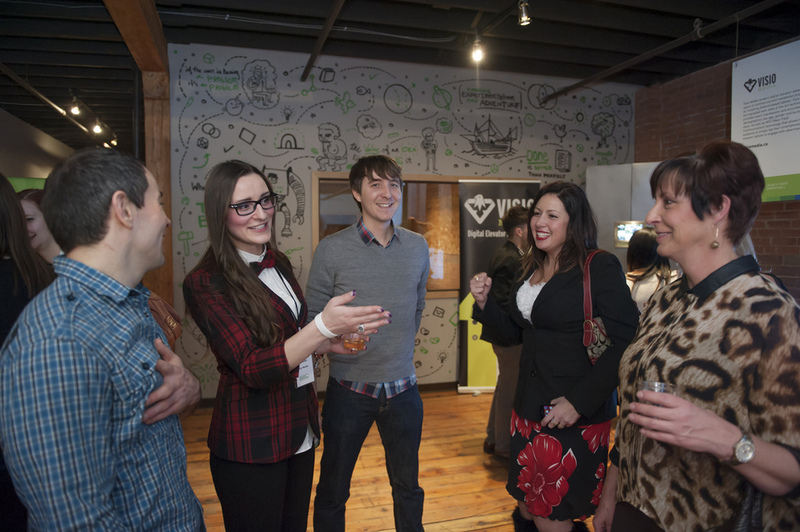 We host more than 250 community-driven meetups, workshops, conferences and special events each year. We support tech founders, startups and growing companies through hands-on programs, workshops and mentoring. Startup 101, Preflight, Level Up & more! A place to work, build and create something incredible. We provide a place for entrepreneurs to build and get feedback as ideas take shape. Innovation can come from any corner of this city: from our post-secondary institutions, from a group a friends working their way around a problem in a pub, from aboriginal Edmontonians and new immigrants. Edmonton is and will be the best place to take a risk, to fail, to take another risk, to succeed, and to take a new idea into the world.